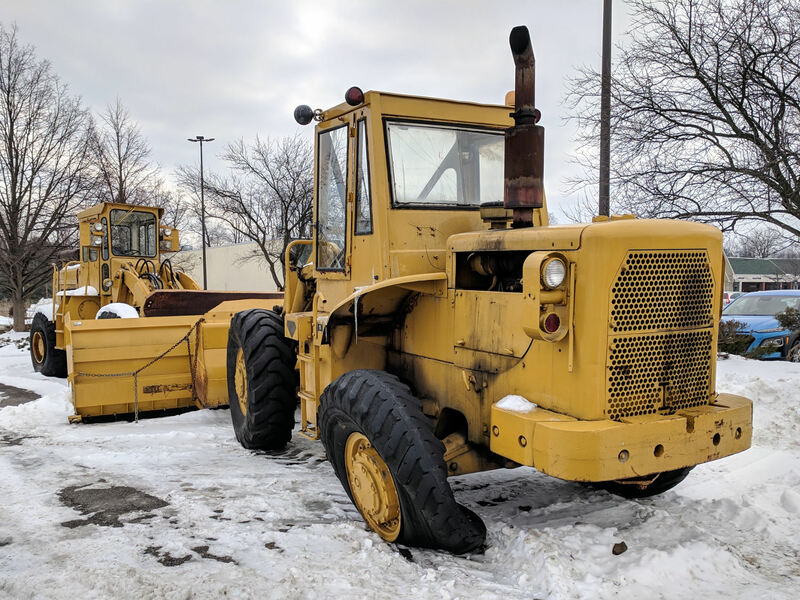 The local yellow iron inventory spends most of the winter snoozing in shopping mall parking lots, waiting to clear the snowfall. It’s been a light year so far, which is fine with me. This entry was posted on 2019-02-10, 07:06 and is filed under Oddities. You can follow any responses to this entry through RSS 2.0. You can leave a response, or trackback from your own site. It seems to always be tires and batteries, especially this time of the year. Thinking it might be good to preemptively replace the Forester’s battery before our fifth anniversary, I found the big-box retailers reporting “no stock” for their top-rated batteries. Six months from now, when nobody needs ’em, batteries will return to the shelves! That’s the magic number for our ex Air Force mechanic for his vehicles (5 years). We just reached that on our truck and paid the price for it when it didn’t work a few weeks ago with sub-zero temps. My daily driver has what is referred to as a “baby battery”, and even though it is only two years old, didn’t have the CCA to even work. I had to keep a charger on it continuously while it was so cold. It would help significantly if were able to park inside, but alas that is not a viable option right now. Poor thing gets a new battery this year, fer shure. Our Subaru OEM batteries have all lasted 7 to 8 years before showing signs that they were near their end of life. I’d say at 5 years, it’s a bit too soon. Part of the problem comes from our very limited driving; we went 51 days between fillups from mid December through the end of January. The poor thing spends too much time draining its battery while sulking in the garage and, when I forget to apply the trickle charger, it makes the “Go away” sound on the next start … not a good sign.